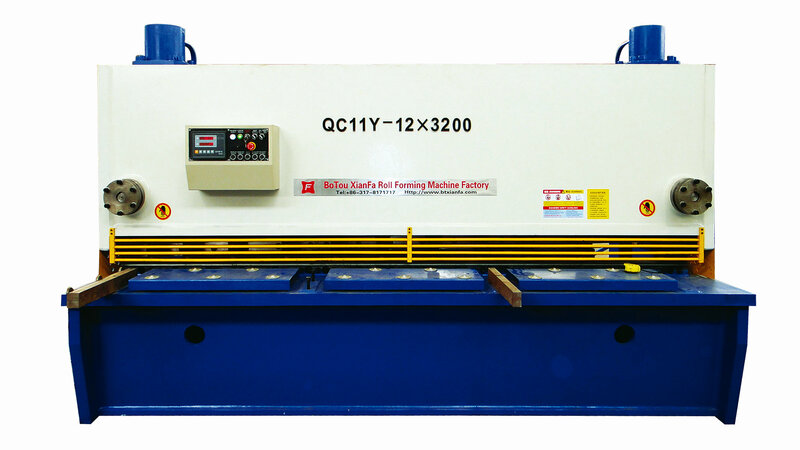 Product categories of Hydraulic Shearing Machine, we are specialized manufacturers from China, Hydraulic Shearing Machine, Shear Machine suppliers/factory, wholesale high-quality products of Shearing Machine R & D and manufacturing, we have the perfect after-sales service and technical support. Look forward to your cooperation! 1.Q: Why choose Huachen? Any advantages? A: The answer is Yes. There are5 advantages. (2) Customize: We can make the Roll Forming Machine as your request, Profile and Quality can meet your request. (3) Good testing: After we finish the machine,we test it again and again to make sur every machine perfect. (4) After sale service: (1)1 Year Guarantee. (2)We offer installation and operating training for free. (5)We offer life long technical support for free. 2..Q: Where is your factory located? How can I visit there? A: Our factory is located in Botou, Hebei province. We could pick you up from Cangzhou Station or Beijing or tianjin airport when you come. 3.Q:How about your payment terms? A:30% deposit by T/T in advance and 70% balance after inspect confirmation before shipment. 4.Q:What is your contact info?